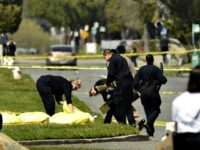 A group of pro-Trump Californians protested outside the Haste Muerte café (which means Until Death in Spanish) in East Oakland for refusing to serve a uniformed police officer, who is Latino, last month. 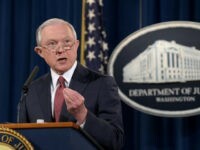 Friday on Fox News Channel’s “Tucker Carlson Tonight,” Attorney General Jeff Sessions said his department would “use every lawful tool we have to push back against” Oakland Mayor Libby Schaaf for warning illegal immigrants of a raid by Immigration and Customs Enforcement (ICE). 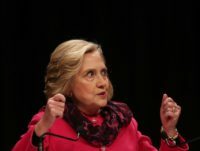 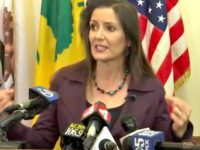 The Oakland mayor who warned illegal aliens of potential raids by Immigration and Customs Enforcement (ICE) in Northern California may have caused some criminal illegal aliens to evade deportation. 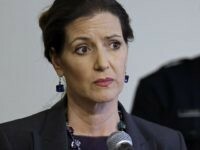 Oakland Mayor Libby Schaaf is warning illegal aliens of potential Immigration and Customs Enforcement (ICE) raids taking place in the San Francisco Bay Area. 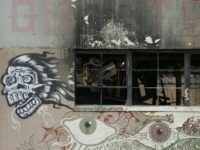 Three Bay Area residents say they have collected over 1,000 signatures from local artists and have penned a letter calling on Oakland Mayor Libby Schaaf to stop landlords from evicting residents of warehouses similar to the “Ghost Ship” where 36 people perished in a deadly blaze earlier this month. 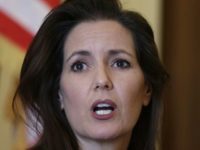 GOP presumptive presidential nominee Donald Trump received some Twitter vitriol from Oakland’s mayor after calling California’s leading city for violent crime one of the most dangerous places on earth. 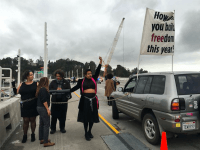 Dr. Martin Luther King, Jr. Day was hijacked by Black Lives Matter in the Bay Area on Monday as members of the movement blocked traffic on the Bay Bridge in Emeryville, citing recent police shootings as they chained themselves to five cars and formed a line, backing commuters up for nearly 45 minutes. 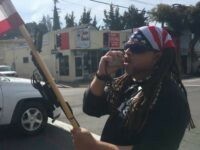 Hundreds of #BlackLivesMatter demonstrators marched through the streets of Oakland on Friday, and a dozen people locked arms and chained themselves together in the middle of a busy intersection, to voice their unrest over the shooting death of Demouria Hogg, 30, last week. 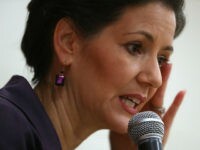 Oakland Mayor Libby Schaaf, a Democrat and former aide to Gov. 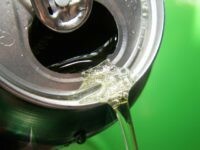 Jerry Brown, has implemented a new policy for protesters who have held the city hostage in a slew of “Black Lives Matter” demonstrations over the past few months: No protesting allowed in the streets–only on the sidewalks.